Zipper Agent includes all the CRM tools a Real Estate Broker and Agent needs to manage their Opportunities, Contacts, Properties, Activities, Emails and Documents. It offers rich functionalities and several integration points with external services to run your business efficiently. While the application is easy and intuitive enough, this document will help you navigate through the major functional points and help you get to know more of Zipper Agent. 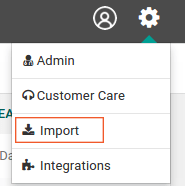 The first thing that you would like to do, when you start using ZipperAgent is to import your Contacts, which include your prospects, customers, partners, contractors - any individual that is connected to your business. Integrations are connections between applications that allow them to share data. Seamlessly connect ZipperAgent to popular applications like Google Apps, Microsoft Apps, Mail Chimp, Dropbox and more. Once integrated you can access information and files from those applications right within ZipperAgent. All admin activities like subscription details, email templates, inviting new user etc. are clubbed together under the Admin module. 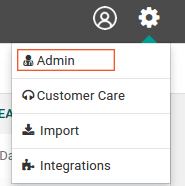 These settings are not frequently changed and only admin users will have access to this module. To see the user details and change any of the data like Name, Contact information, Signature and others you can navigate to the user profile page. Opportunity: When you start the sales process for a contact or a property, you can create an opportunity to track the work and status of the process. You can link the opportunity to the contact and also with the property record. Since you might have multiple sales for one contact/property over time, it's very possible that you will eventually have multiple opportunities linked to a single contact/property. Use ZipperAgent to track sales efforts and progress in opportunities from the lead stage all the way through to the closed deal. In ZipperAgent you will deal with two types of Opportunities a) Buying Opportunities or b) Selling Opportunities. Contacts: Contacts are at the centre of any CRM. Your contacts can include your prospects, customers, partners, contractors—any individual that is connected to your business. ZipperAgent behind the scene updates the publicly available data of the contacts from various sources, so that your contacts never get stale. Property: The property record allows you to maintain a continuous record of all properties which you have had as an Opportunity previously. The property record contains details that are relevant to that property which will not change over time. The information which is stored there is by default fairly minimal. You can track vital details such as address, and size. ZipperAgent behind the scene updates the publicly available data of the property from various sources, so that you have to do minimal data entry. All these records are the most important and basic units for ZipperAgent and you can find an easy link to access these records from the menu bar on left hand side or from the header link “Opportunities” on mouse hover. To quickly search a record you can use Global search box at the header, it is available from every page in ZipperAgent. In ZipperAgent you can quickly add a record while working on any page by the quick add icon at the header. You may want to schedule a call or plan a meeting or assign a task for following up with customers and potential opportunities. To manage your day to day work including emailing customer or maintaining your daily calendar, you need to work with ZipperAgent activities. This can be easily accessed from the “Activities” link at the header or from the menu on left side bar. Here are some common actions you can perform on any ZipperAgent records right from the Record List pages. 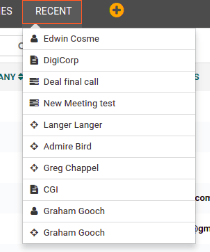 While on the list page, you can send email, tag or delete records. You can sort any column by clicking on the up and down arrow icons beside the column names. Add a record: Click on the “Create New” button on the right top corner of each list page to create a new record. View Details: Click on the record name (usually the first column on the list page) to see the details of the record on the right half of the page. View More Details: Click on the “More...” button on the right top corner of the details page to view all associated data of that record. For example, emails exchanged, added contacts or properties, added documents, tags, notes. Edit Record: While on the records details page, click on the Edit button at the bottom right corner to be able to edit the data.